Pride of ownership evident throughout this immaculate elevated bungalow. Offering 3 bedrooms, 3 full bathrooms and fully finished lower level. Open concept living/dining with beautiful laminate flooring, upgraded maple kitchen with ample counter space, tile backsplash, pots and pans drawers, built-in pantry and breakfast nook with patio doors to large rear deck. 3 spacious bedrooms including master with large closet and 3-piece ensuite incl. walk-in shower with glass doors. 4-piece main bath with tub/shower. Fully finished lower level offers huge 30ft x 16ft rec room with no posts, laminate flooring and lots of natural light, a room/den with window and closet plus a 3-piece bathroom w/marble floors and shower with glass doors. All this plus garage with opener and inside entry, no sidewalk, central air, HRV, central vac rough-in and much more! 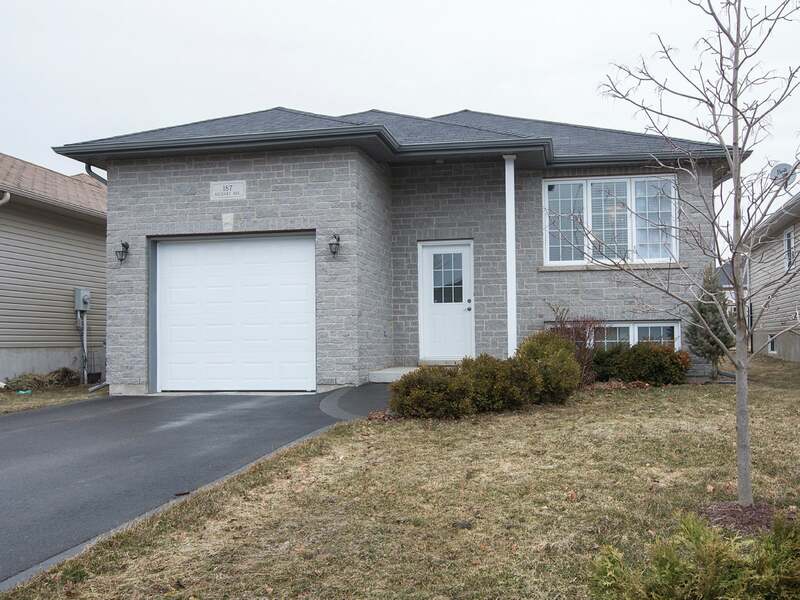 This beautiful home is a must see, just steps to the park and green space walking trail. An absolute pleasure to show, call to arrange a private viewing. Lot Size 38.38 x 114.30 Sq. Ft.